This morning I woke up before my alarm went off ready to rock my 11 mile run today. Don’t know why considering I didn’t get much sleep due to a very busy week of helping others, running errands, thesis work and school- but not complaining! my partner in crime ordered a ton of Swedish fish (ok so maybe only the biggest bag she could find) off of Amazon so we could see how they fuel us instead of paying more than a grad student should spend for Honey Stingers. The nutrition facts were almost exactly the same and we set out to test them today! 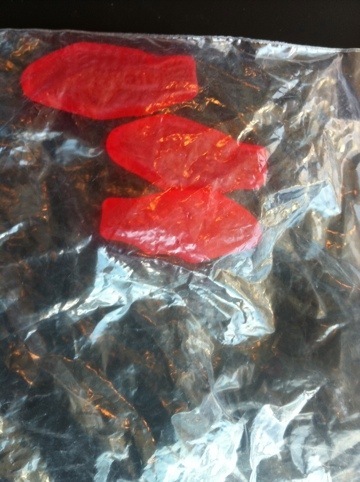 Thanks Corey for the Swedish fish! Thankfully they were just what I needed! Being the portion control queen, she preportioned them and I ate all but 3 during our run. 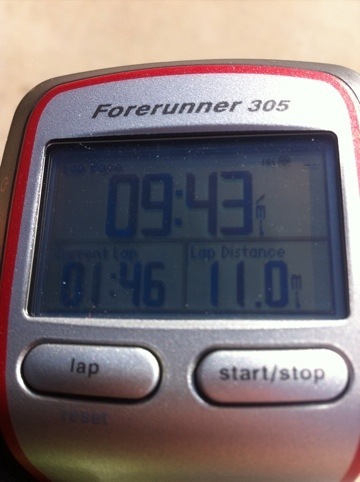 Last week I felt a little sluggish around mile 9, but today I powered through and pushed myself the last mile and made myself really work for that 11 mile mark to hit my Garmin! We ran overall faster than our run last week and I am happy! Next week we are setting out to run the whole 13 miles!! No we aren’t nuts, just wanting to have the confidence the day of the half marathon and know we can make it! Have fun playing with different fuels for your run, I never let myself eat candy but considering I burned over 1100 calories this morning it was well worth the splurge on the fuel! Posted in Body in motion, Snack Item and tagged foam rolling, gluten-free, running, Swedish fish. Bookmark the permalink. sooo you usually take a little something with you and eat on the run?? PS.,.. my compression socks should be here any day! !